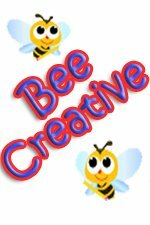 At busybeekidsprintables.com you'll find tons of free printable coloring pages, word searches, mazes, stationery, games, cards and so much more! Print out a fun Winter-theme Activity book full of Coloring Pages, dot to dots, and Word Searches! Check out all of our Winter Printables for kids! 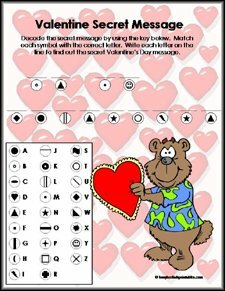 Print out a Valentine book full of Coloring Pages, dot to dots, and Word Searches! Check out all of our Valentine Printables for kids! Also, many of the activities on this site are in color, if you want to print in black and white simply choose this option in your printer dialogue box. Hundreds of FREE Printable Coloring Pages, from alphabet and animals, to holidays and Pirates, you'll find it here! We've got tons of Word Search Puzzles to choose from! You'll find fun Animal, Holiday, Seasonal, Pirate Word Searches and so much more! Click on a category to view our selection! If your looking for FREE Printable Mazes then you've come to the right place! We've got tons to choose from in FIVE levels of difficulty: Preschool to Super Difficult. Just click a category and print! Our Free Dot to Dot Printables come in many themes and levels of difficulty. 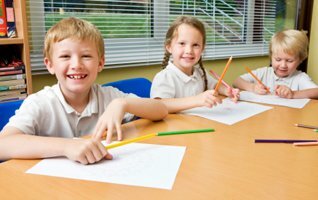 There are easy puzzles for preschoolers and more difficult dot to dot activities for older children. Just click and print! We've got lots of fun Free Kids Printable Chore Charts to choose from. Our charts are in weekly format, with blank spaces for you to write in your child's chores! Our Free Printable Color Me Cards are the perfect cards for kids to make for friends and loved ones for holidays and special occasions. They even come with a matching printable envelope! We've got lots of fun Alphabet Coloring Pages and free printable alphabet templates! You'll find tons of Free Animal Printables here. We've got birds, farm, ocean, zoo/safari animals as well as bugs! These are super fun activities for kids of all ages, preschool and up! In our Free Holiday Printables section you'll find fun kids printables for Valentines, Easter, Mother's/Father's Day, Halloween, Thanksgiving, Christmas and more! Round up all the little Cowboys and Cowgirls and have some fun with our Free Cowboy Printables! You'll find tons of coloring pages, mazes, word searches, stationery, games and more! Our Free Knights and Medieval Printables include coloring pages, mazes, word searches, games, stationery and more! These are great kids activities for birthday parties or school! These Space Printables are outta this world! You'll find lots of coloring pages, mazes, word searches, stationery, games and more! Suitable for preschoolers on up! Our "What's New blog" is a journal of all the new free kids printables that have been recently added to the site! You'll find lots of fun ideas for kids here! Please Contact Us with any questions, comments or suggestions, we'd love to hear from you!